B. Thomas (Arlington, Texas, United States) on 29 December 2010 in Landscape & Rural. 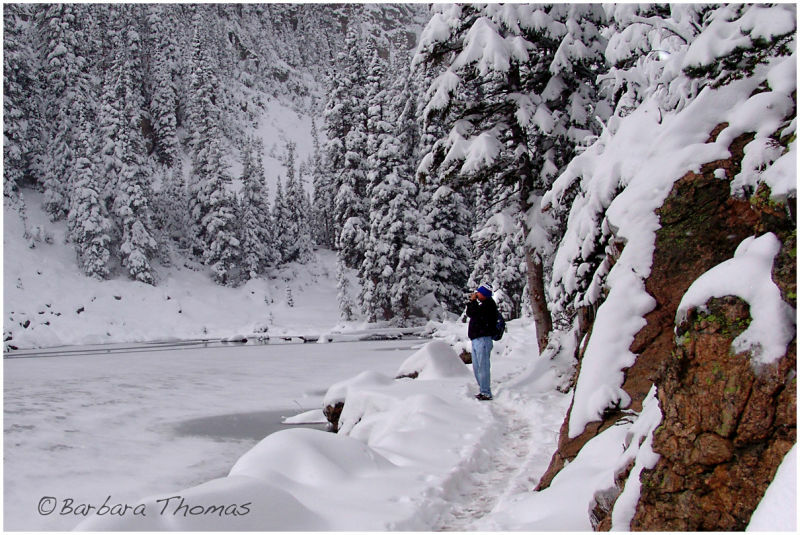 A cold hike along the shore of Dream Lake in Rocky Mountain National Park last year. Looks so cold, but totally worth it right? winter could be so fascinating! I love your winter landscapes ! Wonderful winter landscape, snow really changes the way we look at things. @Curly: Thanks, Curly. Yes it does. How beautiful this is ... and a good thing you did it last year; no hiking this winter I suspect. How is your foot coming along? @PD: Thanks. I wish I was there too. They are getting new snow today, and lots of it.